Aidan Hart’s collection of essays in his book Beauty, Spirit, Matter: Icons in the Modern World covers a wide range of topics that are united in their interest in the material world seen through the prism of the Orthodox Church’s theology of the icon. 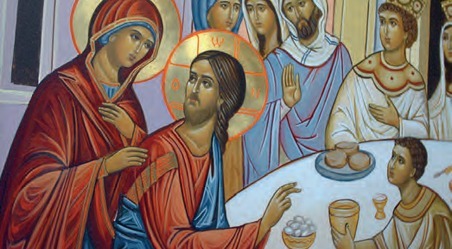 The author, a professional painter and iconographer, is well-versed in his subject and offers careful reflection on the renewal of Orthodox liturgical art, on the tension between tradition and innovation, and more broadly on modern art, on ecology, on the human person, on suffering, and indeed the state of human beings today. To a certain extent, much of what Hart has to say is captured in his opinions on art. In a comment on some modern (or perhaps post-modern) art that seeks to shock and is graphic in its ugliness and violence, Hart says that “modern art’s unwitting prophetic role has been to reveal to us man’s loss of dignity”. Modern art witnesses to the effects of the Fall and in particular to man’s loss of God. Pre-dating post-modern art, the modern form of abstract art is, he says, trying to “unearth spiritual realities”. For Hart, all art despite its differing expressions, shares a theme: to mediate between some higher realm and the artist’s own world. All art is a search into the essence of things even though at times, instead of being a language to express things, it is mere play. This understanding of art, now of the gallery and simply open to view rather than created with a purpose, seems to symbolise our modern era: at once a loss of God, purpose and meaning, yet at the same time a search for deeper and more lasting realities. As a remedy to modern malaise and the perennial search for meaning, Hart offers his reader a glimpse into the world of the icon where the artistic and the theological are inextricably entwined. Matter matters, and the material points beyond itself to hidden realities. According to Hart, art joins together differences into a unity and the icon is perhaps one of the clearest expressions of this. Following Orthodox tradition, the icon exists because the archetype exists, be it Christ or Mary or one of the saints. The icon expresses not only the visible but also the invisible in a symbolic language that belongs to a dynamic tradition. The icon takes its place within God’s created and purposeful cosmos as one of the ways in which creation and the material is raised up to God. Chaos and cacophony can be replaced by harmony, order and theophany. As Hart puts it, “sacred iconography is a [grace-filled] fruit of Eden rediscovered”. Hart asks his readers to look with “the eye of the heart” at the icon. With its disregard of photorealism, with its strange and imperfect form, the icon invites us into the unknown where suffering, struggle and compassion can all be found. Its artistic abstraction hints at apophatic theology, and the saint’s holiness yet also humanity unites joy and sadness. Moreover, the icon’s imperfection draws the viewer in to complete the work. The book hits the ground running with what begins as a deceptively easy theology of the icon. Hart successfully makes the clear and important link between historical theology and iconography and he contextualises the whole into Christology. However, the book rapidly enters into the early Christological disputes, and for those readers new to the difficulties surrounding significant theological and philosophical terms, such as ‘person’, ‘nature’, ‘hypostasis’, ‘hypostatic union’, and later the “original Nicene Creed” (a nod to the filioque controversy), the content may seem intimidating. This is especially since Hart does not always define his terms. The tone changes between chapters and it encompasses the historical, philosophical, theological, catechetical, ethical, analytical, liturgical, contemplative, and even slightly whimsical and anecdotal. This perhaps reflects the fact that the book is a collection of essays and this may also account for the sense that the chapters are addressing different audiences. At times the language is technical and precise, at times it is broad and generalised. At times the reader may have the impression that there is an ‘elephant in the room’ or that he or she has missed something of the argument, especially when it comes to the thorny yet rather insider issues of copy over a freer style of icon painting, or the merits or otherwise of eighteenth and nineteenth century Russian iconography, or the suggestion that there is some “point scoring” going on in the debate in question. The rather generalised nature of some of the chapters perhaps inevitably leads to some caricature. In his comparison of icons to Western sacred art, Hart points to the “spiritual realism” of icons, rather than “carnal realism”, in that they “depict people who are radiant with the uncreated light of God”. While the spiritual aspect does have precedence over the material, Hart does sometimes appear to be dismissive of what he calls the “naturalism” of the Western tradition that, he claims, is the result of a focus on man rather than God. For someone who celebrates the material world and rejoices in a proper ecology, this seems to require more nuance. Moreover, it sweeps all Western religious art into the same category. The Western theological approach to salvation is described simply as legalistic, and, according to Hart, apparently “a Roman Catholic church may hold a multitude of Masses at the same time”. Another but minor misapprehension is the confusion of El Greco, Domenikos Theotokopoulos, with his son Manuel. Some readers may be alienated by the author’s constant use of “man” when referring to human beings. Nevertheless, Hart’s book is thought-provoking and written from ‘the heart’. It carries stories and sayings from the desert fathers and the patristics. It resonates with a sense of the spiritulal in its discussion of liturgy, ritual, spiritual stages, repentance and deification combined with a love of icons and art including mosaic, architecture and sculpture. With his careful choice of very beautiful line drawings and colour plates of icons, Hart demonstrates that the spiritual life of the person who paints icons is of great significance. Perhaps the last word goes to Hart: painters are like prophets, delivering the word of God with zeal. And icons are ways of bringing God’s word to the world, even to the gallery world. Dr Pia Matthews lectures at St Mary’s University, Twickenham and St John’s Seminary, Wonersh. A Celtic Christology: The Incarnation According to John Scottus Eriugena by John F. Gavin, S.J., Cascade Books, 160 pp, £13.00. A work of theology with the word “Celtic” in its title might raise suspicion. That the same book is about John Scottus Eriugena, who, for most of us, is a relatively unknown figure, might make you even more hesitant to pick up this volume. You would, however, be wrong to hesitate. And this for two reasons: the presentation and the content of the book. John Scottus Eruigena was an Irish theologian born somewhere around 800 AD. He moved to France about the middle of the ninth century and was one of the leading scholars of the Carolingian Rennaisance. In his lifetime he was renowned for his knowledge of Greek. Generally regarded as a Neo-platonist, today he is remembered above all for his translations of and commentaries on Pseudo-Dionysius the Areopagite. The author of this study, however, sees Eriugena as the inheritor of a spiritual tradition that, while acknowledging the influence of Augustine of Hippo, also embraces Gregory of Nyssa, Evagrius Ponticus and Maximus the Confessor. There are colourful – though probably apocryphal – stories that Eriugena was stabbed to death with a pen by one of his own students. A cautionary tale for pedantic professors! However, all that is known for certain is that he died sometime after 877. Fr. John Gavin, S.J., will be known to quite a few of the readers of this magazine, and those who do know him will know that he is gifted teacher, possessed of a remarkable talent for straightening out the convoluted and explaining the complex. A Celtic Christology is Gavin at his lucid best. The presentation is excellent: it is a short book, just over 150 pages; it eschews unecessarily intimidating jargon – the non-specialist reader might have to look up the odd term but that could be easily done on Wikipedia; and both Eriugena’s thought and Gavin’s arguments are developed in an easy to follow, logical sequence. The content is fascinating: even if Eriugena is not one of the great Fathers of the Church, nonetheless, the themes that Gavin explores in Eriugena are of perennial interest. Gavin’s study is broken down into five chapters which trace Eriugena’s thought from Creation, through anthropology, to the Incarnation, and to Christ’s “historical presence in the Church and her actions” (p. 140). Chapter 1 deals with the state of fallen humanity and the reasons for its creation. Chapter 2 deals with issue of Christ’s two natures. Chapter 3 explores the motives for the Incarnation. Chapters 4 and 5 deal respectively with how the individual comes to share in the Incarnation, and how believers appropriate the historical particularities of the life of Christ in their own lives. Eriugena’s presentation of the content of the Catholic faith bears certain similarities to the Faith Movement’s own catechetical approach. There are, nonetheless, problems with Eriugena’s theology; and Gavin, whilst balanced in his assessment, does not shy away from these. He concludes his study asking what can be learnt from Eriugena’s theology and what is lacking in his theology. Amongst other issues, Eriugena’s attitude towards matter is questionable, and his understanding of the division of the sexes does not stand up to scrutiny. Both the materiality of the body and the division of the sexes are seen as a results of the Fall. For those familiar with the theology of the Faith Movement, given the similarities between its and Eriugena’s manner of presenting the Catholic faith, it is striking that on the very points where Eriugena theology is wanting Faith has something original to contribute. This book is clearly written and with a little effort could be followed by a non-specialist. Although Eriugena himself is a marginal figure, he is the inheritor of an interesting and far from marginal tradition in the Church’s theology, which is of particular interest to those involved in the Faith Movement. Eriugena’s themes are still relevant, and even if he himself does not always arrive at the best conclusions, his speculations, as explained by Gavin, are, nonetheless, stimulating and worth reading. Kevin Douglas did his Licence at the Patristics Institute in Rome and is a priest of St Andrews and Edinburgh diocese. The Tale of Quisquis - Reading the Rule of St Benedict as Story by Hugh Gilbert OSB, Gracewing, 209pp, £12.99. In the 64th chapter of his Rule Saint Benedict wrote: “It beseemeth the abbot to be ever doing some good for his brethren”, and one feels that the Father of western monasticism must be well pleased with the efforts of Hugh Gilbert as one of his sons, firstly as Abbot of Pluscarden for the best part of two decades and now as Bishop of Aberdeen since 2011. Here, as in his two previous books, the author brings together a distillation of his own long monastic experience and makes it accessible to a wider audience. The material has its origins in conferences given at Pluscarden and other religious houses and is primarily a commentary on Saint Benedict’s writings for those who have placed themselves under his Rule, but the heading “quisquis” (literally “anyone”) implies that here is wisdom for everyone who sincerely seeks to “prefer nothing to the love of Christ”, a goal that ought to be shared by all the baptised. Benedict is writing to offer a structure to “establish a school of the Lord’s service” and as an encouragement to Quisquis to hearken “to the precepts of the master and incline the ear of thy heart: freely accept and faithfully fulfil the instruction of a loving father”. Just as the original text is imbued with Scripture, so Bishop Gilbert’s approach in these conferences is full of insights from his own personal experience of lectio divina. He can write, “as a Christian homily (the Rule) is impregnated with Scripture. It is almost nothing more than an echo of the Bible. Saint Benedict subordinates himself to Scripture. It is Scripture, the Word of God itself, which addresses us”; but the ex-Abbot’s own frame of reference reveals, alongside a profound regard for Scripture, a broad culture with homage paid in these pages to the likes of Rilke, Dostoyevsky and Solzhenitsyn. As one would expect from such a contemplative source, there are helpful chapters on prayer and some very pertinent comments on intercession which can be applied to the situation of those outside as well as within the cloister. Drawn from his own long experience within monastic walls (and also his more recent experience of episcopal ministry) one suspects that Hugh Gilbert’s section on “Restraint in Speech” comes from deep within the heart when he writes: “death and life are in the power of the tongue. It is possible for the human tongue to carry the word of life”. In other words, gossip can be a killer! The words from Psalm 118 “Suscipe me, Domine” (receive me, Lord) are sung by those making profession as a monk or nun, and the teaching offered here on the nature of vows speaks to anyone who sees their human journey in terms of vocation. G K Chesterton’s take on them is worth committing to memory: “the vow is to the man what the song is to the bird, or the bark to the dog: his voice whereby he is known”. In a beautiful final chapter, Quisquis, the disciple, the searcher after the monastic way, reaches his goal: “at the beginning of the Rule, he is asked to open the ear of his heart to the teaching of the master, Saint Benedict. At the end of it, he is asked to open his whole life to the Word of God in all its revealed fullness”. Having spent some time in company with Quisquis, one feels that the Catholic people of Aberdeen are fortunate in their present shepherd who would seem through his written words to combine the teaching and pastoral offices to which Pope Benedict (surely no coincidence in the name) called him. I do not know Bishop Gilbert personally, but I imagine the same might be said of him as was said of an early Cistercian, Blessed David of Himmerod, who was always smiling: “he had, like the saint, a face shining with joy. He had the face of one going towards Jerusalem”! Who might benefit from this latest compilation of monastic themes? Certainly its publication is intended for a much wider audience than those for whom the chapters were originally written, and as well as anyone wanting to gain a better understanding of Saint Benedict’s Rule (which remains, as it has been for a millennium and a half, a foundation text within the Christian tradition) it could well be used as a study source for a parish group: there is much meat here to be digested and provide ongoing nourishment. Fr Christopher Colven was a parish priest in Hackney for ten years and is now Rector of Saint James’s, Spanish Place in London’s West End. Lead Kindly Light: The Life and Message of John Henry Newman, presented by Fr Nicholas Schofield and Fr Marcus Holden, St Anthony Communications, £12.95. This 68-minute DVD offers an attractive overview of Newman’s life. The presenters are two youngish priests, Fr Marcus Holden and Fr Nicholas Schofield, close friends with a shared enthusiasm for the history and culture of the 19th-century English Catholic Church. They are filmed walking around all the major English Newman-related sites (Ealing, Oxford, Littlemore, the Birmingham Oratory, Maryvale, the Oratory School Reading) while discussing some leading themes in Newman’s life. Occasionally another contributor is interviewed, and the short presentations by Fr Jerome Bertram, Fr Daniel Seward and Dr Andrew Nash are so good one could wish to hear from other experts, of whom there is no shortage in England. The production values are generally high – the topographical backgrounds provide a visual feast, the speakers are always articulate and rarely repetitive, and the chronological narrative provides a clear structure. For parish audiences unfamiliar with Newman this DVD provides a useful, accurate, uplifting and uncontroversial introduction. Precisely because it is introductory, however, the DVD might be found rather too long and unexciting by viewers with a prior knowledge of Newman’s life. Perhaps another, supplementary, DVD could be made, with a stronger intellectual focus, moving from controversy to controversy rather than place to place. Some discussion of the bitter hostility Newman provoked in some quarters, Catholic as well as Anglican, combined perhaps with a few interviews with some of Newman’s living critics, might make for a more gripping, even dramatic narrative. 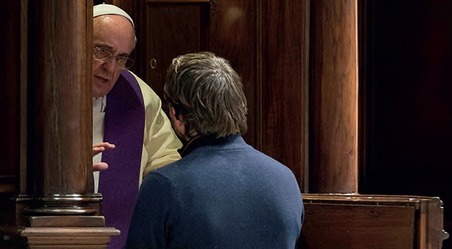 Such a DVD, which the two priests would be well qualified to produce, might have greater appeal particularly to students and sixth-formers, or simply to audiences accustomed to a more abrasive TV documentary approach. Christopher Zealley is the managing director of St Philip’s Books in Oxford.